At Global Trade Specialists we have been sourcing parts from China machine shops since our company was founded in 1991. 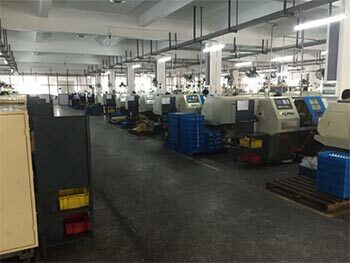 We got our start sourcing items used in a CNC machine shop environment, such as micrometers, gage blocks, dial and electronic calipers, granite surface plates, and many other types of precision tools. With China’s low labor rates we can offer you competitive pricing on every type of machined part. 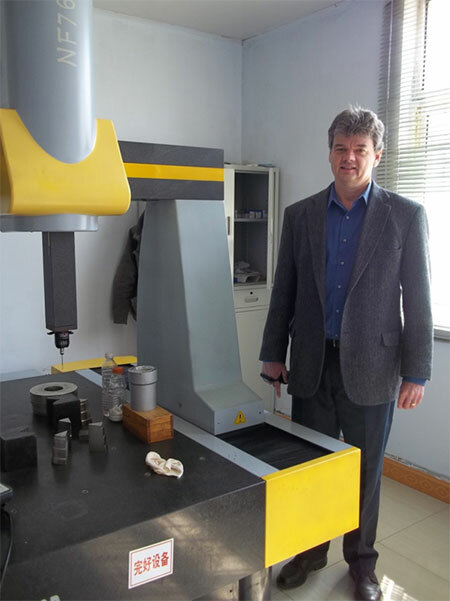 There are now many machine shops in China with late model U.S. and European made CNC machining centers, lathes, grinders and other types of modern equipment. Ready to get started? Contact us now to get a quote. Why Source Machined Parts from China? Can I Find a CNC Machine Shop in China Myself? What kind of products and materials are available in China? What is the process for sourcing my parts from China? 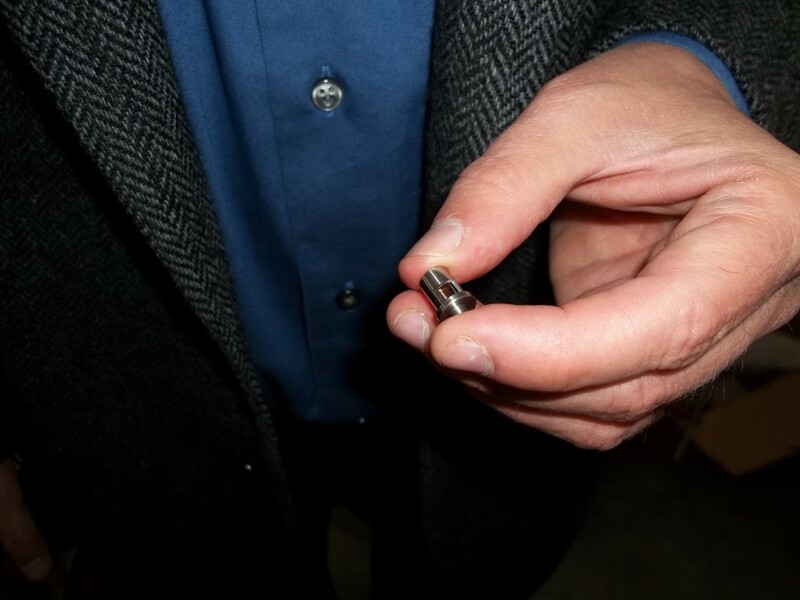 A while ago, a new customer approached us for a quote for a product that consisted of several cnc machined parts; including an anodized aluminum housing, brass threaded insert, o-ring, and several fasteners. Some of the dimensions had tight tolerances, within .001 – .002. The product required assembly and custom packaging. He had received a domestic quote of around $2.00 for the product; the problem was he needed to sell his product for $2.00 and still make money. Our quote came in at just over 60 cents for the complete, machined and assembled product – 70% less than the domestic quote. He was thrilled at being able to sell his product at a competitive price with a wide profit margin. Of course, a low price is meaningless if the parts are out of tolerance or have a poor finish. Our factory has nearly 100 machines, including CNC lathes, machining centers, and custom machinery created for our customer’s jobs. They also have a temperature controlled quality control and inspection lab, with certified gages. Our factory consistently held the tolerances shown in the drawings for all components, and the finish was first class. Since then, we’ve made hundreds of thousands of parts for this customer. Although a competitive price is what sparks the need for our customers to source their parts and products from overseas, quality is just as important. 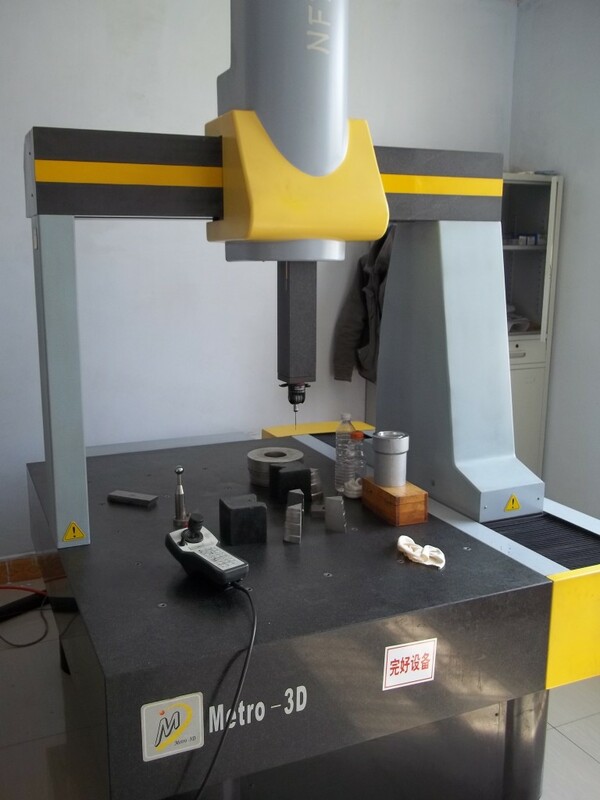 Some of today’s machine shops in China have late model equipment with the ability to manufacture to close tolerances, ISO certification (as does the factory mentioned above), and computerized inspection equipment such as coordinate measuring machines, and utilize SPC (statistical process control). The key is how to find the best factories. We receive phone calls and emails all the time from customers who have tried to find the right factory in China and come up short. Some went to an e-commerce site with thousands of listings of manufacturers and sent off several emails. They received a response from a few, maybe a quote, but then something went wrong. The supplier disappeared or stopped communicating, they changed their quote mid-stream, or, in extreme cases, they sent a deposit to an unknown entity in China and never heard from them again. When you’re emailing someone from a foreign culture that is thousands of miles away, it’s difficult to know if you’re communicating with a trading company, a factory, or a guy in an apartment who’s trolling for easy money. (We’ve encountered all three). Some assume they can just use google to find a factory, except, there are many good factories in China who don’t have website. Many websites are in Chinese or written in poor English. It’s going to be difficult at best to get a read on their capabilities from their website. And again, there are those who have set up website, even well-written ones, with the intent to take your money and run. A professional sourcing agent is a game changer. Our three partner companies, the owners of two of which we’ve known since 1993, prequalify factories, negotiate prices, inspect orders, and make the shipments. Relationships get things done in China (the Chinese call these relationships guanxi. ); if you don’t know someone over there and something goes wrong, such as if a product needs to be replaced, the chances are high your vendor will suddenly disappear. 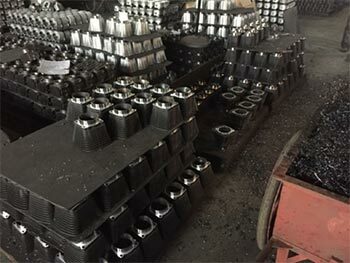 We started our business in 1991 sourcing cnc machined parts, fabricated metal products, forging, castings, and more, and have helped many companies produce their products in China. We know the potholes to avoid and what manufacturers in China need. With a professional sourcing agent, you’re working with a group of companies that can take you through the entire process from start to finish, including the most important part: finding the right factory that’s the best fit for your product. Castings and forgings, both which can be machined as a second operation. Die castings, which can be machined as a second operation. Most materials are available, including aluminum, carbon steel, stainless steel, cast iron, ductile iron, plastics, brass, copper, titanium, and Inconel, among others. 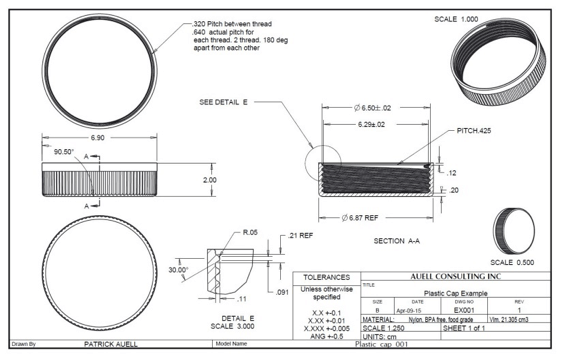 The process for sourcing CNC parts from China begins with your drawings. We’ll look them over to make sure everything that’s needed is there, mainly, all dimensions, tolerances, material, and finish requirements. Occasionally we receive prints where the material or some other information is missing, like the tolerances. It’s important that we have complete drawings up front so the CNC machining factory makes the parts to your specifications and doesn’t fill in the blanks as they see fit. Then, depending on the tolerances, purchase volume, and complexity of the parts, we’ll place your project with one of our three partner CNC machining groups in China to manage with a factory we’ve been working with for years. For example, we work with a factory who can do close tolerance work, within +/-.0005. 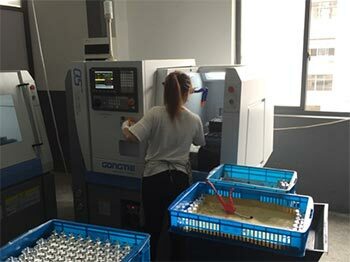 Customers who need close tolerance CNC precision machining would have their parts made by this factory. Most of our customer’s parts don’t require tolerances this tight; on average we see drawings with tolerances of around .002 or more. Depending on the volume and equipment requirements (CNC turning, CNC machining, surface grinding, and/or assembly) we’ll place your product with the factory that is the best fit. The factories we work with have modern inspection tools equipment and solid quality control procedures in place. The QC room I’m standing in below is temperature controlled and equipped with a CMM (coordinate measuring machine). Packing is an important consideration as unprotected metal parts are prone to rusting during transit by sea. Depending on the material, if the parts are not anodized or plated (i.e. nickel plated) they should be coated with a rust preventative at the factory. In addition to the factory’s quality control processes, our partner company performs their own inspection. One of our partner companies has 4 engineers on staff. For an additional measure of quality control, we offer an independent third party inspection service, where an inspector comes in and spot-checks the order to your inspection guidelines. Finally, our partner company reserves a spot for your order with the shipping line, and the shipment is on its way to you. 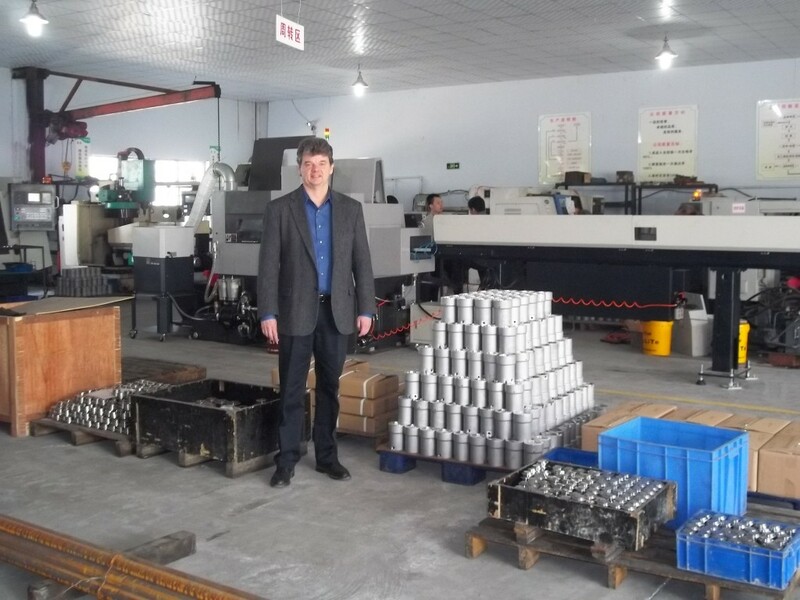 We’ve been working with this CNC machine shop in China for years, and they’ve done a great job delivering parts made to print in the delivery times they promise. I always enjoy visiting manufacturers in China; there’s always something to learn and interesting things to see. They don’t always do things the way we do and so it’s fun to see how they run their businesses. This isn’t the only machine shop we work with; we source from many more. This one is a small machine shop. Others have huge production run capabilities, while some specialize in other processes, such as surface grinding.